Finally, an end to the dreaded “Mom Jeans” of protection! The new Scorpion Covert Pro Jeans have done it; combining rock-solid safety tech and - dare I say it - style! along with a price point that is hard to believe. Until now, riding jeans have been cursed with compromise. Style, performance-grade protection and affordable pricing were mutually exclusive: you could pick any 2 of the three. With the Covert Pro, Scorpion has created a pro-grade garment with Cordura® construction (not denim), real 250GSM Kevlar® lining, adjustable armor pockets, and reflective cuffs - at $159! If you have been shopping for riding jeans (and I have) you know how insane this is. The best part? They look awesome! 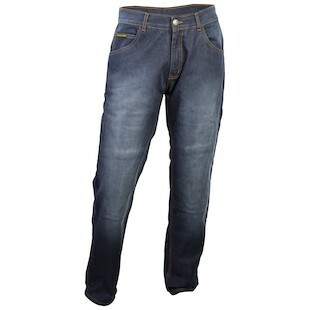 These jeans have a clean, modern cut and subtle stitching that live up to the Covert moniker. In the Covert Pro, Scorpion may have finally cracked the code for the perfect everyman riding jean. Time will tell, but these could very well become the Levis’ 501 jeans of the motorcycle industry.